AuBrey and Billy were perhaps the most unconventional couple that I've worked with - and I mean that in the best sense possible. Not only was their dog, Waffles, in the ceremony, but he was in all of the wedding party photos and was featured on their invitations and wedding signage. 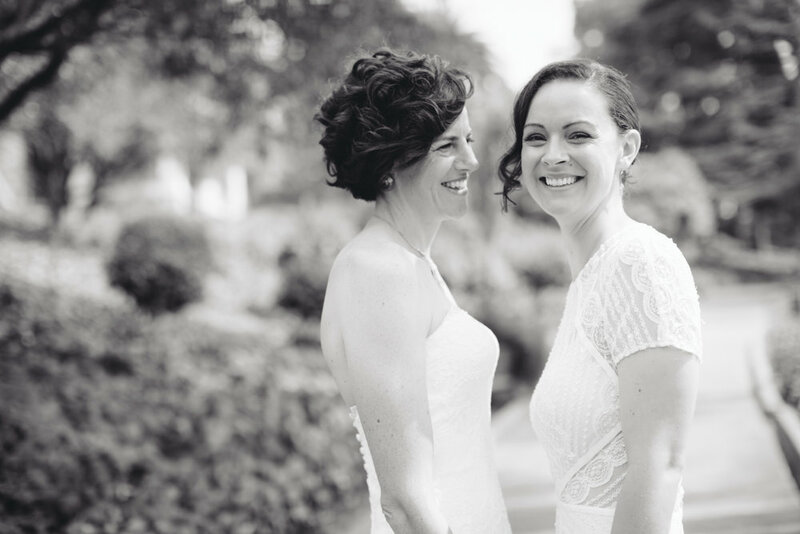 AuBrey was originally going to wear a black wedding dress, but ultimately decided on a gorgeous cream lace number, paired with a bold red lipstick. To top it all off, their cake was a funfetti cake (isn't that secretly everyone's dream wedding cake??). 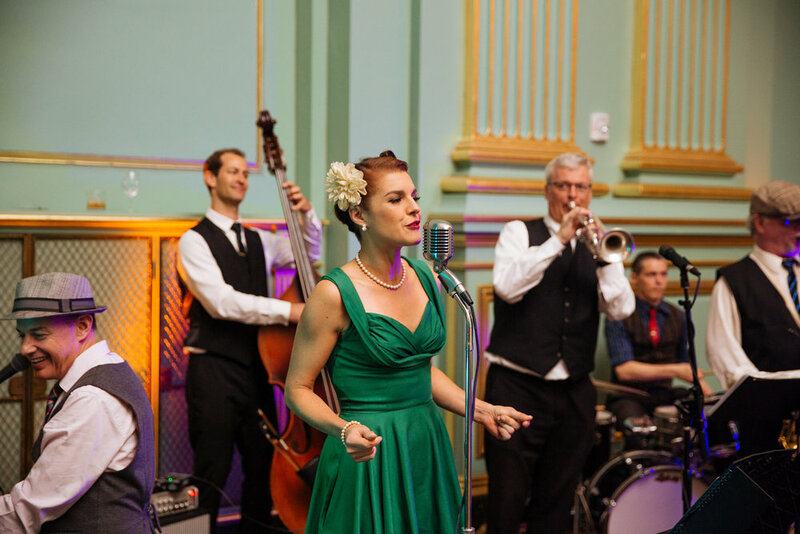 Park Winters was a perfect all-in-one venue: the house, extensive grounds, and bell tower provided ample space for every part of the wedding day from getting ready to collapsing into bed after a full night of dancing and everything between. The staff was attentive from the moment that we stepped foot on the grounds, and left nothing wanting. I swear I didn't pay Kari and Parker to be wedding models. This is real life, but it just proves that real life can be a fairy tale sometimes. Kari wore the most gorgeous full-skirted princess dress I think I've ever seen with a stunning veil to match. Parker wore a bespoke blue polka dot suit that looks like it belongs on the cover of GQ. 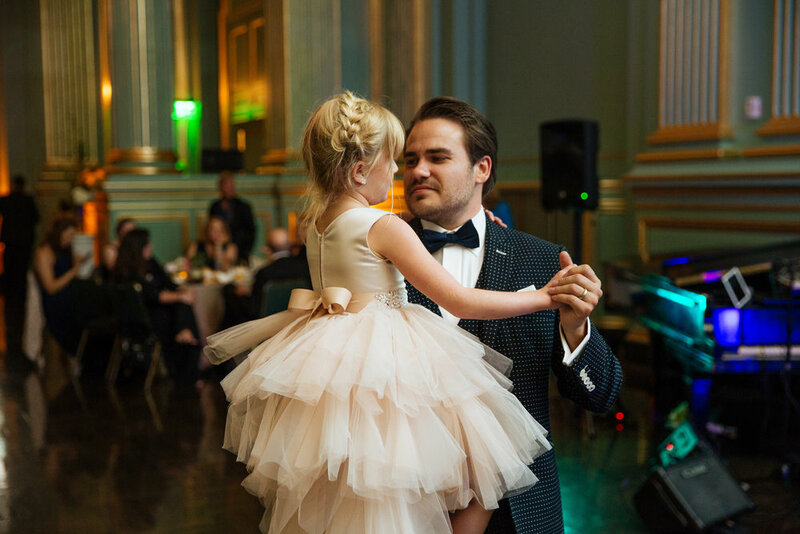 The Green Room in the War Memorial building is a gold-gilded ballroom, which served as the perfect backdrop for Kari's vision of a wedding-turned-gala. The special surprise of the evening? Kari sang a few tunes with the live band and didn't disappoint. 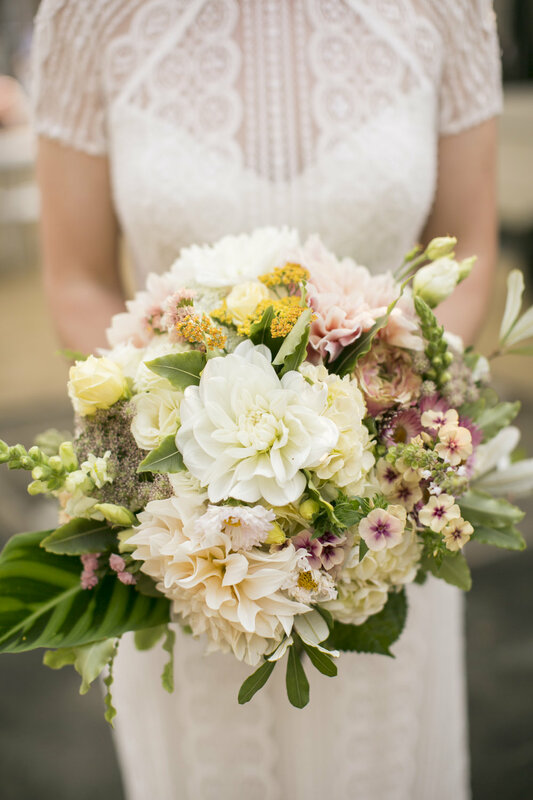 Photos: Nikki Ritcher Photography / Venue: Vessel Art Gallery / Flowers: Gorgeous and Green. 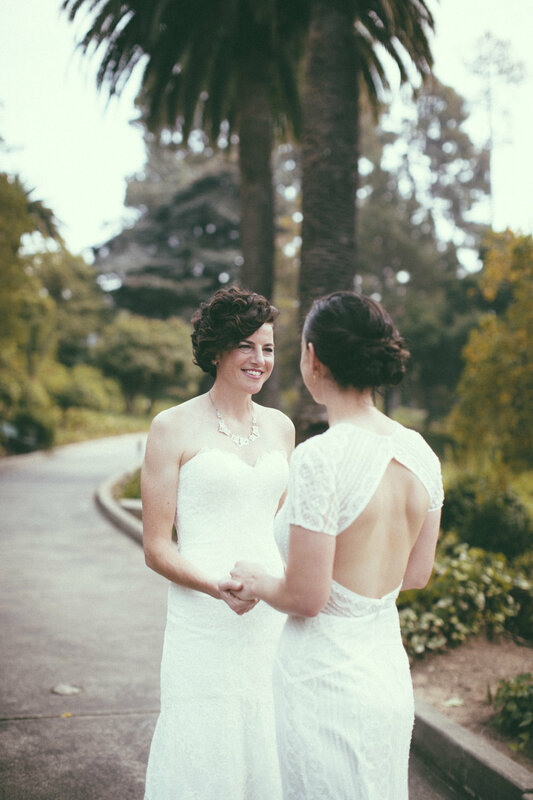 Lindsey and Alice never thought that they would be dealing with 90-degree weather, wrestling large industrial fans, and running out of ice when they booked the Vessel Gallery in Oakland for their September wedding, but that's exactly what happened. 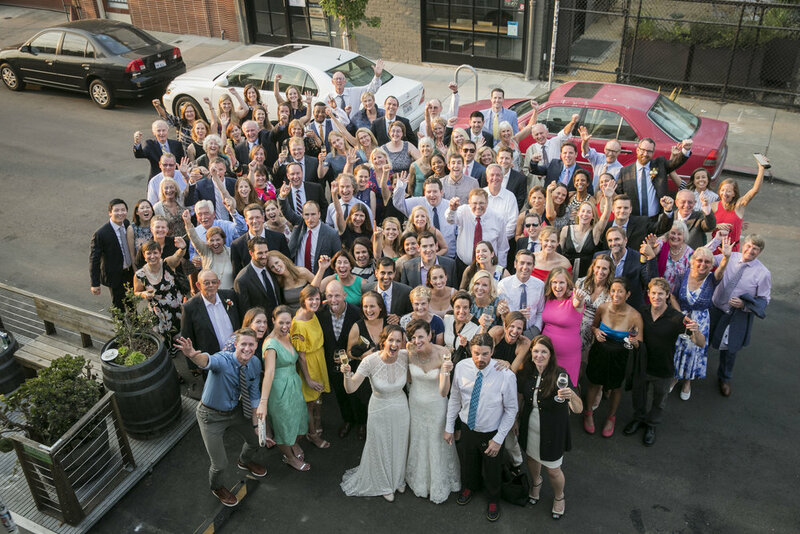 The Bay Area had reached record-breaking temperatures the whole week leading up to their wedding day and so an open-air art gallery in downtown Oakland turned quickly from a refreshing venue to one that could have become stiflingly hot. 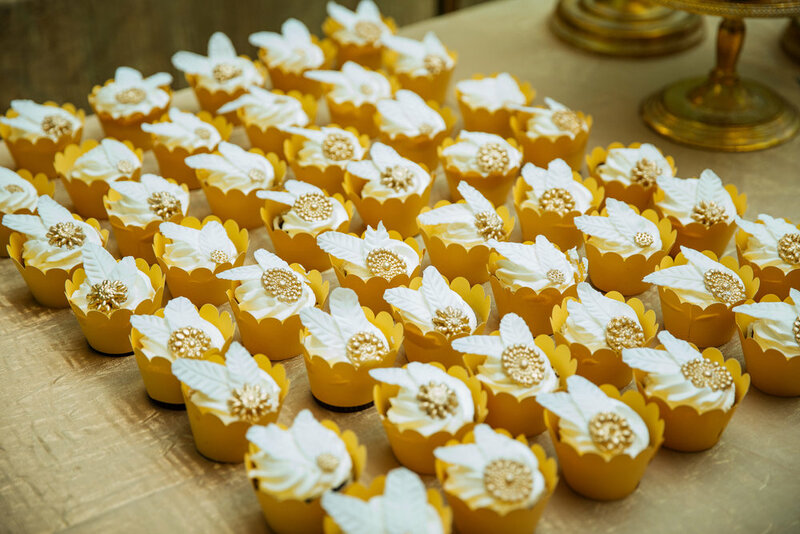 Luckily, these brides were so flexible and up to the challenge of adapting to the circumstances that the hot weather barely affected them. I love the incredibly different dresses that they both wore that were gorgeous in their own ways. 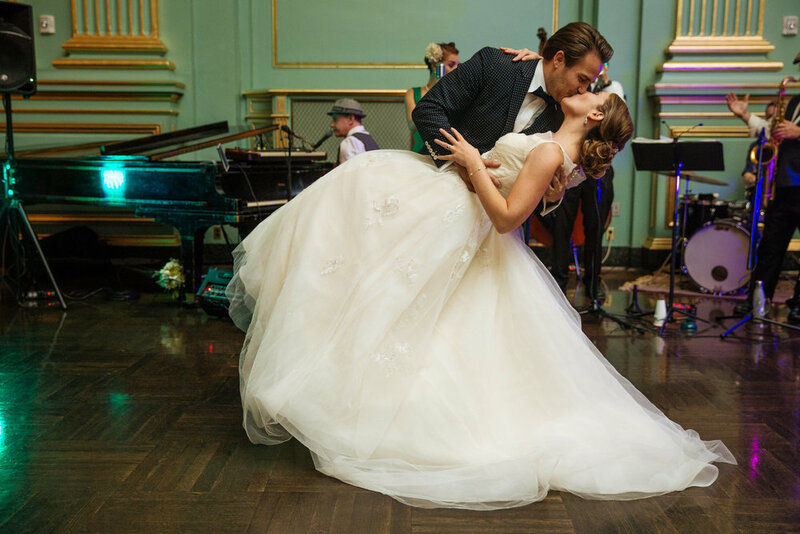 Each had beautiful (and complementary) details: Alice's dress appears slightly conservative in front until you see the sheer lace at her waist and the stunning exposed back, while Lindsey's dress is a low-cut sweetheart strapless dress that is beautifully accentuated by a delicate necklace and hairpiece. 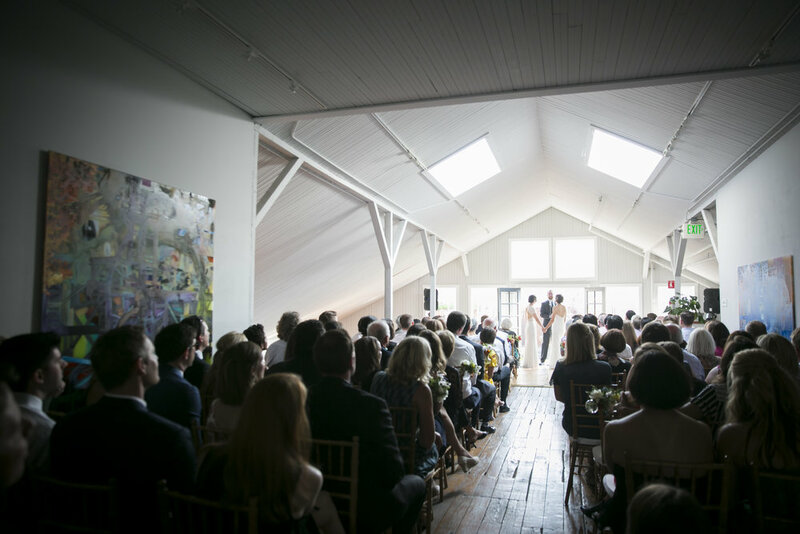 If you're looking for an all-in-one venue for an intimate wedding, Vessel Gallery fits the bill. 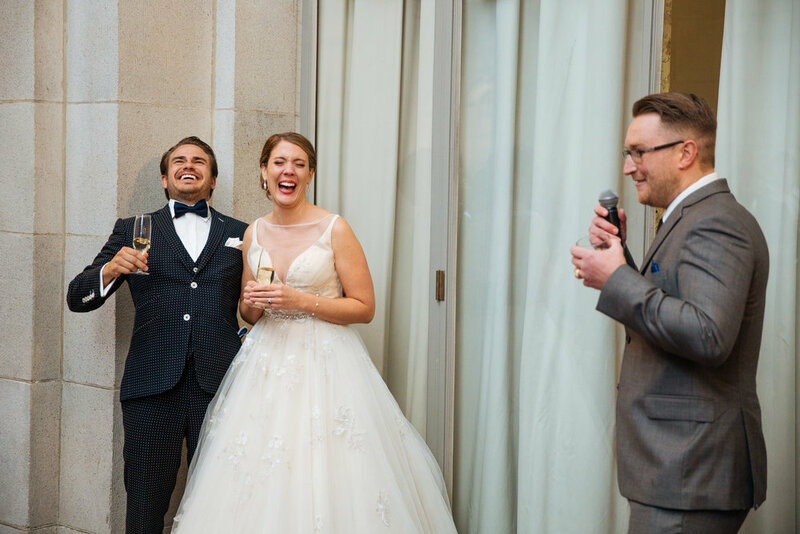 The upper gallery works converts seamlessly from ceremony to reception space, as long as you hire a team that is able to turn the room around during cocktail hour. Not to mention that very little extra decoration beyond a few floral table centerpieces is needed, since it's an art gallery!